As it is known, this year Guram Tavartkiladze Tbilisi Teaching University in the framework of partnership with Inholland University, Erasmus + KA107 has been awarded a mobility grant. This project will be launched in January, 2019. The first swallows of the project are already known. 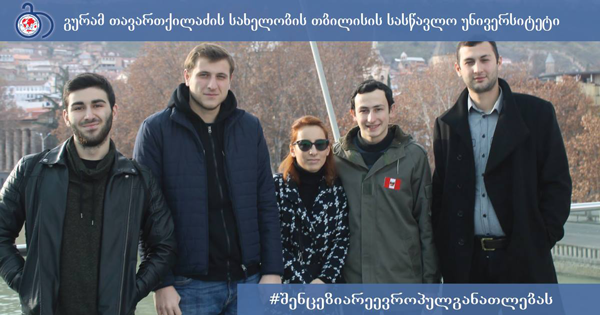 Five students of Business and Social Sciences Faculty Soso Machavariani, David Dolidze, Mariam Kurtanidze, Guram Skhirtladze and Beka Jananashvili. Within the ERASMUS + program, they will go to Inholland University (Rotterdam, Netherlands) to study for one semester.